Technology is set to have an even bigger influence on British businesses and their product development strategies in 2016, with growth expected within connectivity, omnichannels, financial and payment technology and Artificial Intelligence. In addition, the way big businesses discover and implement innovation is set to shift, with the launch of venture teams and accelerator panels or internal ‘incubators’ to bring a start-up mentality to corporate organisations. Gideon Hyde co-founder of Market Gravity, the specialist innovation and propositions design consultancy, shares his predictions on emerging technology and innovations and how businesses can embrace these to enhance their offerings, launch new products, services and ventures to stand out in the competitive marketplace. Homes around the UK are going to be smarter and more connected than ever as consumers embrace the benefits of using devices and smartphones to control energy and thermostats, lighting, security and safety systems and even fridges and washing machines. Energy, utilities and home appliance organisations should ensure they are up to speed with the latest product offerings so development teams can embrace the trend for ‘connected homes’ and the Internet of Things. Cisco estimates that by 2020, there will be between 30 and 50 billion connected entities so businesses should act now to avoid getting left behind. Retailers and marketers are understanding the benefits of offering customers multiple ways to shop – via the internet, through social media channels and apps and the ability to sell, cross, sell, upsell, reward and personalise the shopper experience is a highly attractive proposition. Beacon technology, geo-location services, and content filtering based on personal preferences, purchase patterns and history all enhance the interaction and we expect to see even more retailers adopting an omnichannel strategy across all their sales channels next year. Mobile banking and payments are already gaining traction as there has been an influx of new tech companies, start-ups and retail banking organisations launching disruptive and innovative new products and services. Established banks need to be proactive with disruption and accelerate change so may need to offer new capabilities and facilities, while also investing in traditional systems to open their offering up to customers of all ages. Digital and mobile services are key but enhancing and personalising the customer experience also plays a big part in retaining and attracting new users so ensuring new products and services are seamless, secure and convenient is more important now than ever before. Artificial Intelligence (AI) is not as futuristic as it sounds as there are already UK businesses embracing the benefits of this technology. We predict that 2016 could be AI’s biggest year yet, especially within customer services. It’s algorithms can process ‘big data’ far more efficiently than humans and it can recognise speech, images, text, patterns of online behaviour, for example to detect fraud as well as appropriate advertisements. 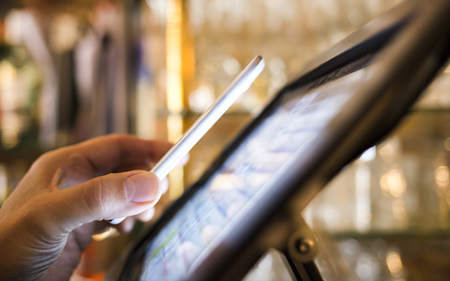 Smart machines and technology can turn data into customer insights and enhance service provisions, bringing the digital experience closer to the in-store interaction for consumers. Big businesses are embracing the concept of ‘intrapreneurship’, an entrepreneurial approach where teams and individuals are driving new venture ideas from within the organisation. We are witnessing an increase in the launch of venture teams, or internal ideas incubators, as well as in investment in research and prototype development. It’s essential for businesses to work collaboratively with experts in this field, listen to creative new ideas from all levels of the company and encourage a culture of change and innovation to facilitate commercial growth.